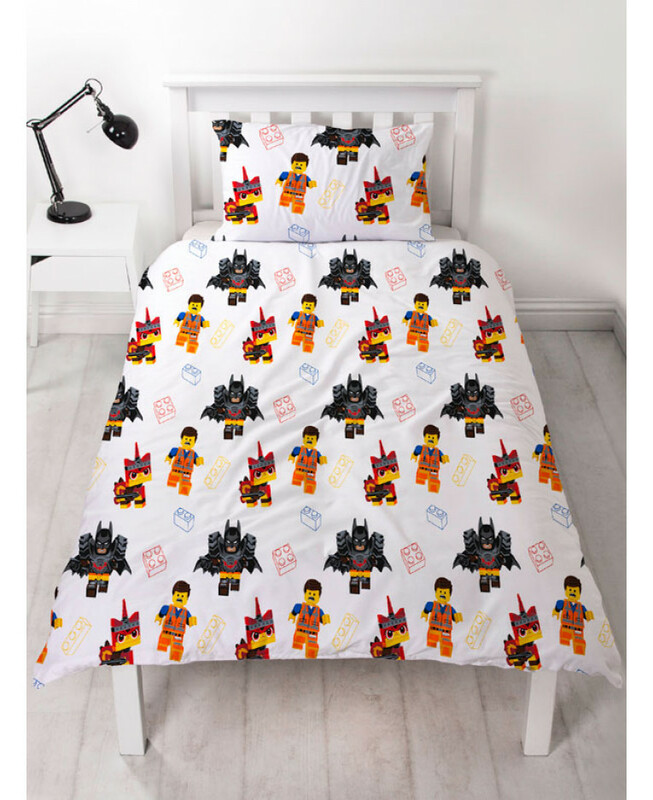 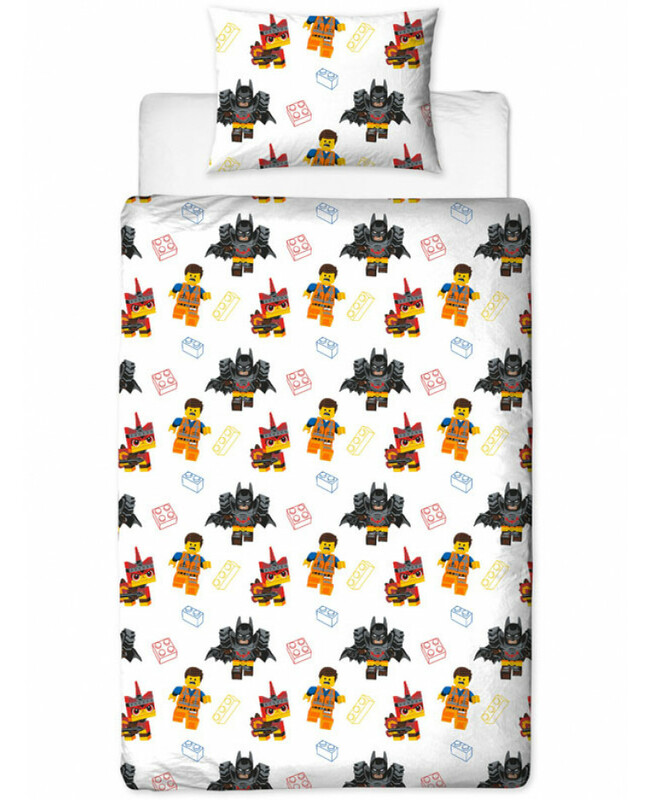 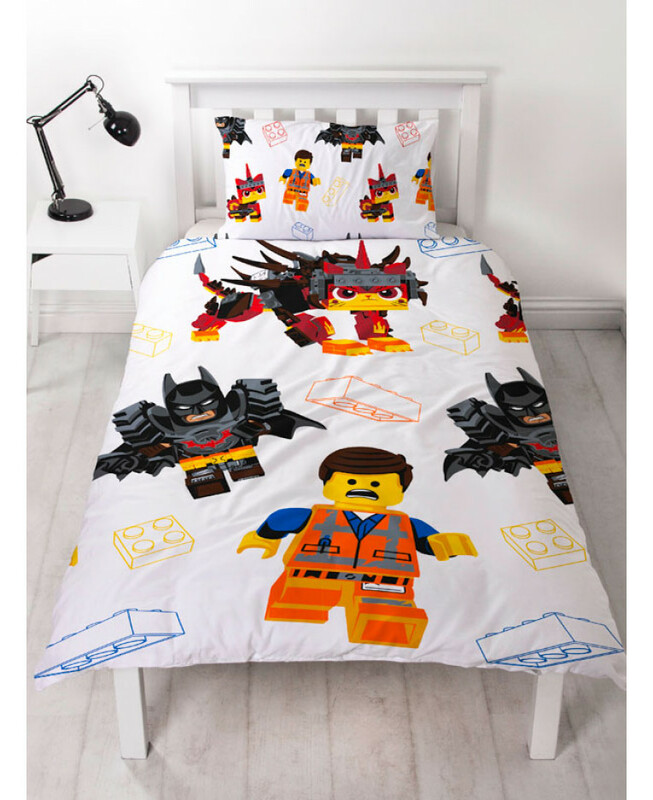 This Lego Movie 2 Awesome single duvet cover set makes the perfect addition to any Lego fan's bedroom. 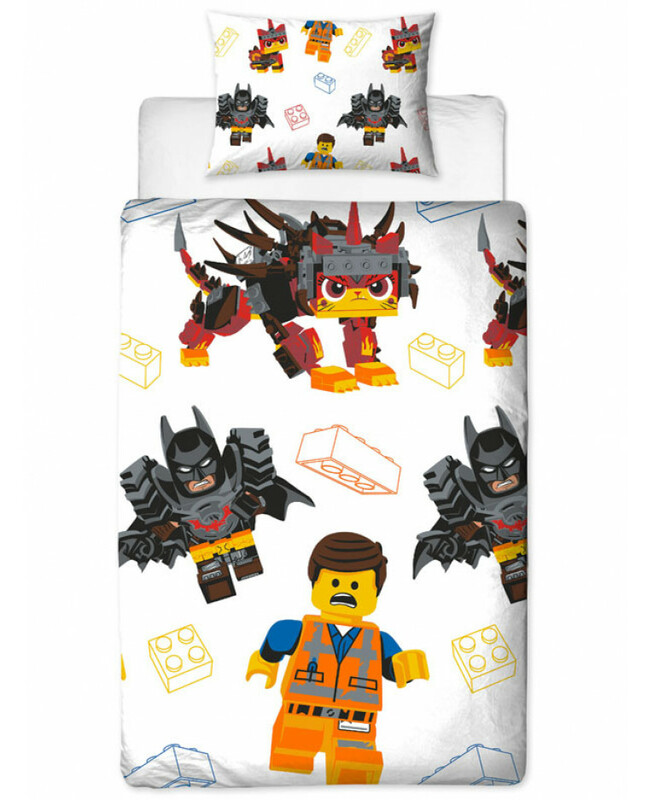 The design features Emmet, Batman and Ultrakatty on a white background patterned with colourful Lego brick outlines, with a smaller repeat pattern also featuring Rex Dangervest on the reverse and the pillowcase. 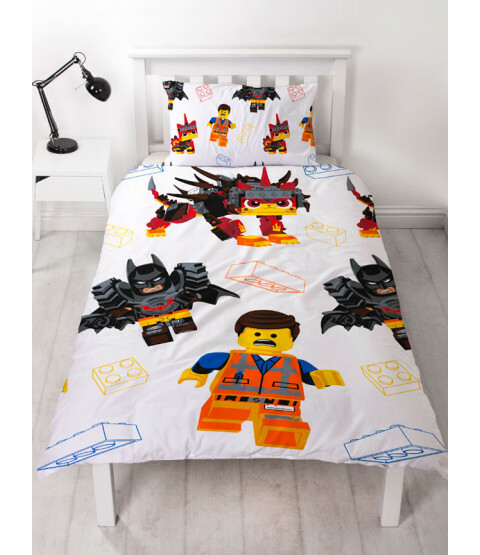 This item is suitable for machine washing and can be tumble dried on a low setting.